PESHAWAR (CemNet.com) – Pakistan’s cement exports to Afghanistan fell to 2.06 mln metric tonnes over the past nine months of the current fiscal year, an official said on Saturday. During the same period of the last fiscal year, cement exports to the landlocked country stood at 2.75 mln T, a spokesman for the All-Pakistan Cement Manufacturers Association (APCMA) said. He linked the decline to smuggling of the commodity from Iran and tax evasion at the import stage. 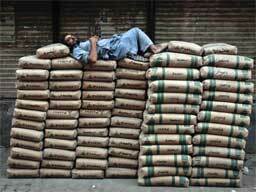 Import quantities were allegedly understated, to the detriment of the Pakistani exchequer. Dealers, customs officials and transporters are suspected of conniving at duty-dodging and lowering the assessment of taxes on imports from Iran. A vehicle entering Pakistan via the Taftan border carries up to 60 tonnes of cement, but the quantity mentioned on the goods declaration form is substantially lower. Pakistan can produce surplus cement of more than 20 mln tonnes per annum, but illicit imports from Iran are harming the local industry. Contrarily, cement despatches to local markets went up by 8.43% 20.34 mln tonnes, compared with 18.76 mln tonnes in same period in the last fiscal year.